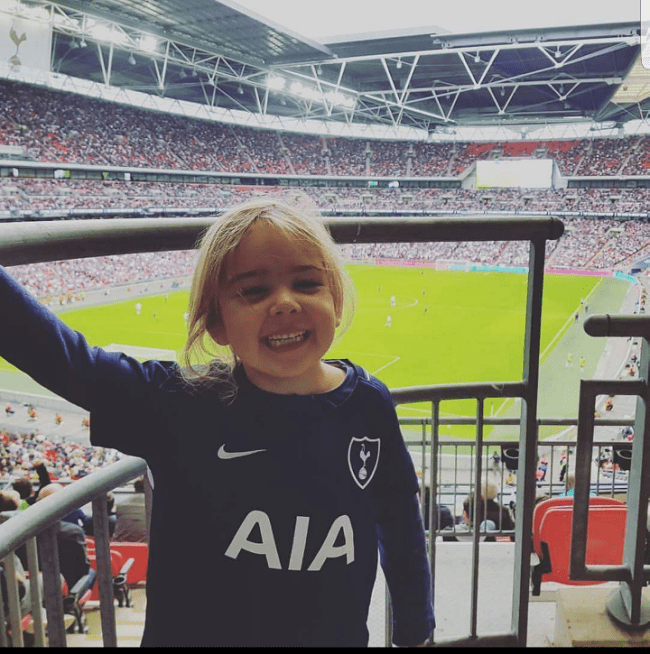 Football-mad Lily-Rose Baldwin is a happy, cheeky five year old who loves playing with her friends, supporting Spurs and eating – especially a roast dinner! But the Bromstone pupil, from Manston Road, is also living every day with crippling juvenile arthritis. The condition means Lily suffers from swollen joints, sometimes cannot even move her jaw and has to have regular steroid injections. She takes the drug Methotrexate – which is also used in chemotherapy treatments – and has a weak immune system meaning winter bugs can easily end up in a trip to the hospital. Juvenile arthritis is an autoimmune disease although the cause is unknown. Your body can defend itself by causing inflammation or swelling. But when a child has juvenile arthritis, their body creates inflammation in a joint or joints when it doesn’t need to. This inflammation then causes stiffness and pain. 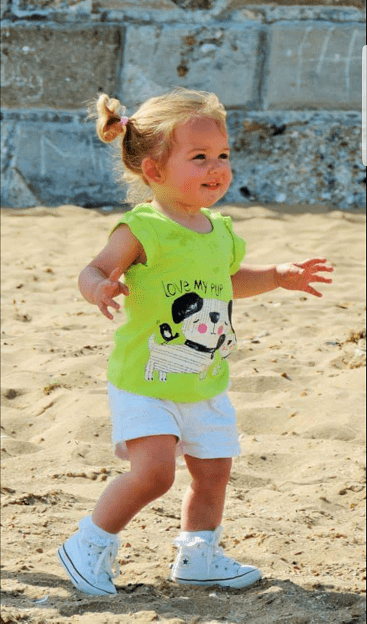 Lily’s mum Leanne Thompson, 36, said: “When Lily was one-and-a-bit we noticed she wasn’t walking and her knees were very swollen so we took her to the doctors. It took about 6 months to finally get her diagnosis of juvenile arthritis. “She has times when she is really poorly and can’t get out of bed. She can’t straighten her knees and elbows. “Her immune system is really low so she can’t handle bugs and is poorly a lot in the Winter. “Some mornings she can’t even open her jaw, which is bad because she loves her food – a ploughman’s or Sunday dinner. 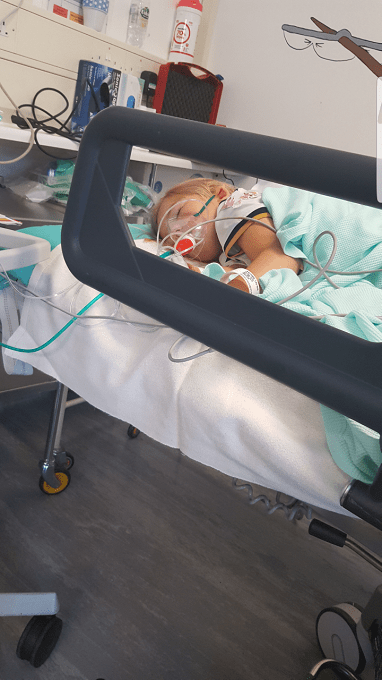 The condition means Lily has steroid injections every week, has to have her blood taken and go to regular appointments at QEQM and Canterbury hospitals as well as twice yearly checks at Great Ormond Street. She also needs regular eye tests as there is the risk the arthritis could spread and result in blindness. Leanne and fiancé Alan Baldwin have been told there is no definite prognosis on how the condition will develop. 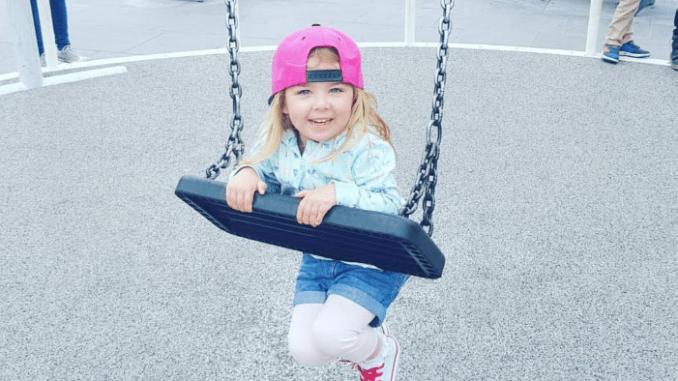 Six months ago Lily appeared to be in remission but has now suffered another set back. 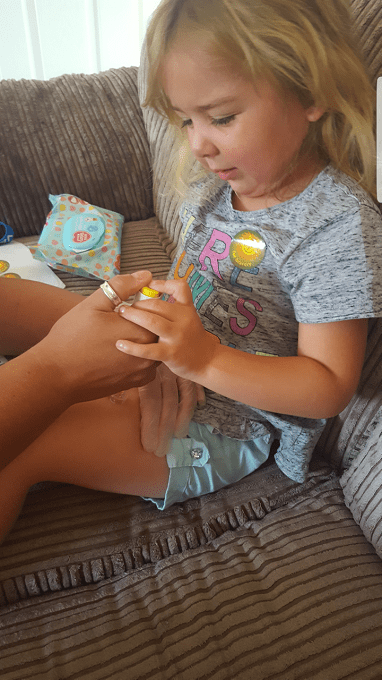 Leanne, who is also mum to Ella, 11, and two-year-old George, said: “The injections have helped her a lot but she has so many things she has to go through. A high spot for Lily has been a trip to Wembley arranged through Rays of Sunshine. 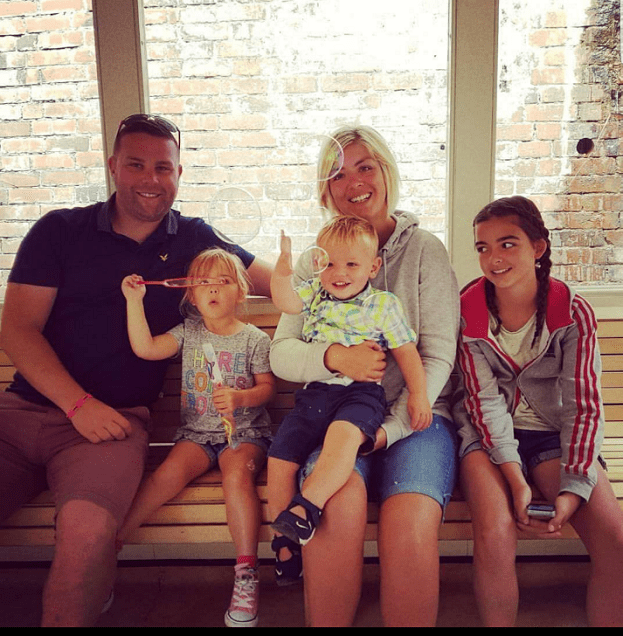 The charity was formed in 2003 to brighten the lives of children who are living with serious or life-limiting illnesses, between the ages of 3-18. Leanne said: “They gave her tickets for Wembley. Lily is a huge Spurs fan and absolutely crazy about football. We didn’t know anything about the charity until the hospital told us. The family have teamed up with friend and fitness trainer Loz Elliot to hold a drum n bass charity workout on Monday, December 4. The session will be held in a studio above the indoor bowls centre, St George’s Lawn, Cliftonville, from 6pm to 7pm. The class will cost £5pp and that money will go to Rays of Sunshine. Lily and her little brother George will also be guests at the Special Stars Christmas party being held by Princess World with The Isle of Thanet News. The party, at the Princess World venue at Westwood Business Park, will host the character-filled party, with gifts for the children, food and drink, games and a special visit from Santa. Princess World UK will also carry out a present run on Christmas Eve to the children’s Rainbow Ward at Margate’s QEQM Hospital. We are asking you to nominate a youngster who you think deserves this treat. Just tell us their name, age and address, along with your contact details and a summary in 250 words or less saying why you have nominated them. Entries to be sent to nominations@princessworlduk.com by midnight on December 1. The party will be held on Thursday, December 21 – times to be arranged. We are also asking for donations of small gifts for children and young people which will be given to our party-goers and the youngsters who will be spending their Christmas in Rainbow Ward. Donations can be taken to Princess World, Westwood Business Park, Strasbourg Street, Margate CT9 4JJ. Call 01843 309602.